R-19 offers Wall NJ Businesses select business phone systems and services. A division of Hytec Telephone, R -19 brings the highest quality service to their New Jersey PBX, VOIP, On-Premise and SIP phone system clients. Customer service representatives are experienced, knowledgeable, and easy to deal with. R-19 uses state of the art office phone communication technology, deploying cloud-based systems that eliminate typical hardware maintenance. Costs are competitive, with office telephone savings of up to 50% being common. Reach out to R-19 for a Wall NJ VOIP, PBX or SIP business phone system service consultation. R-19 offices are found at 1900 Atlantic Ave. in Manasquan New Jersey or just call (732) 528 0555. Wall is a Township located in central Monmouth County, New Jersey. This township is home to over 26,000 residents! 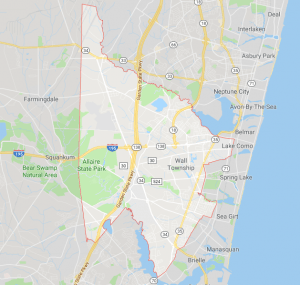 Bordering towns like Brick & Manasquan to the south and Tinton Falls to the north, Wall Township is large in size as well as population. This township is also home to well over 2000 registered businesses! R-19 can provide Wall Township businesses with a top of the line business phone system.